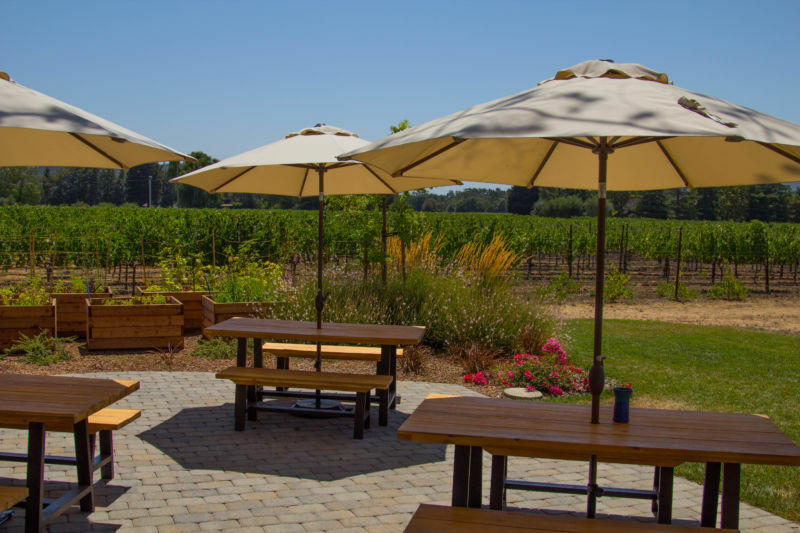 After our group experience of wine blending at Conn Creek, our merry band of winos headed over to Goosecross Cellars to experience their wines. I was so impressed that they were able to accommodate our group even though it was a last-minute request. The staff was beyond classy. Our group was about ten people and the tasting room was already quite busy. The architecture on the building is interesting. It has modern lines but the outside isn’t anything that I would call special. On the inside though, the tasting room is beautiful with a huge window that opens out on the vineyard It was like a picture was painted on the window and you could see out to the glory that lies just beyond the building. 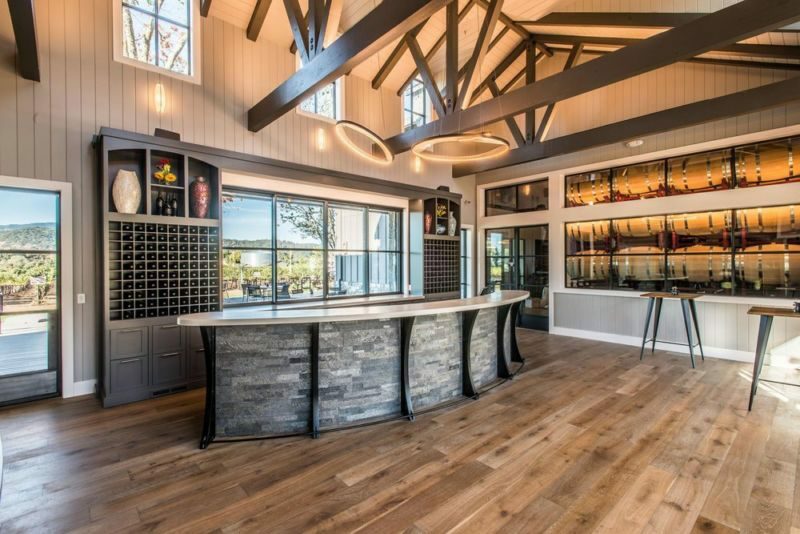 The tasting bar dominates the space, but one can’t help but day-dream as you gaze outside. We were charmed by the story of how the winery got its name. It was named after a pair of geese that made the estate their home. The owners loved the idea that geese mate for life and they are intensely loyal while remaining strong and free. Neil Bason, who is the Director of Hospitality welcomed us and gave us a tour. 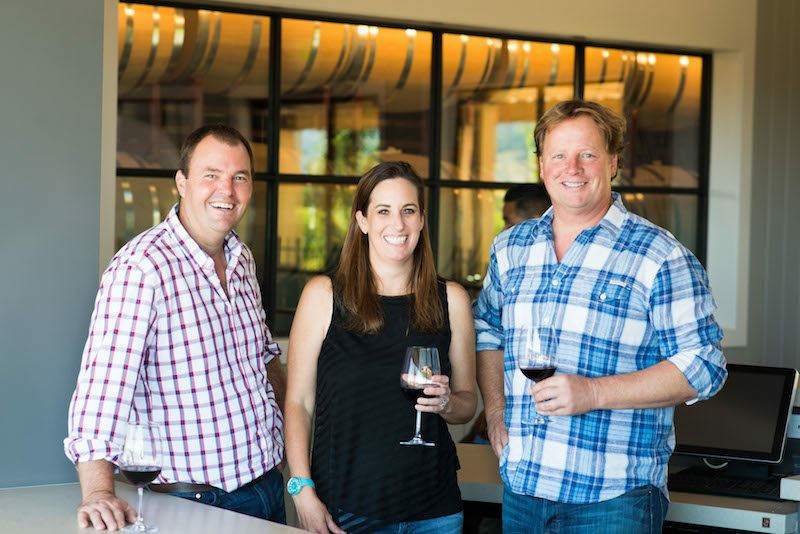 As impressed as we were by the gorgeous tasting room and the wines, it was Neil’s enthusiasm and wine knowledge that won us over. 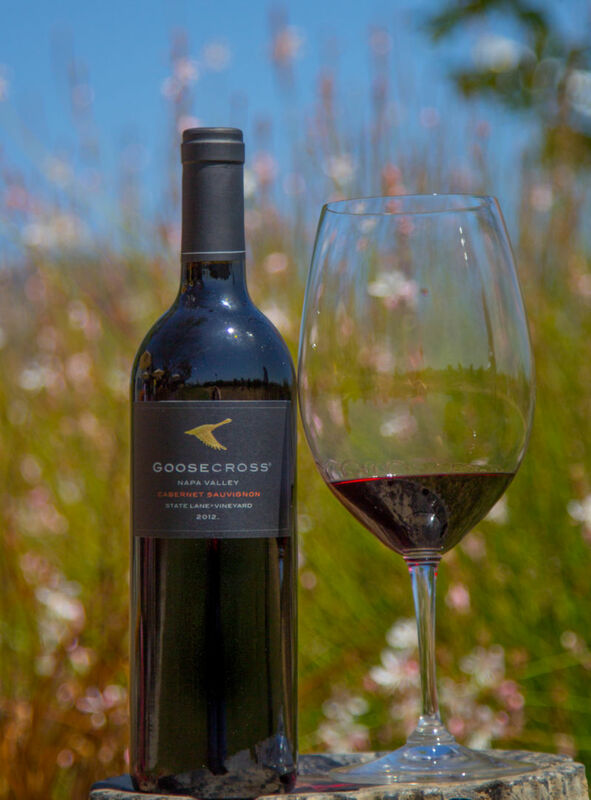 We even had several people in our group sign up for the Goosecross Cellars membership. That should tell you a lot right there. It might be that Neil has that British charm, but we all felt like we were old friends with him and that he was part of our group. It was very interesting listening to him as he talked about the wines and took us through our tour. 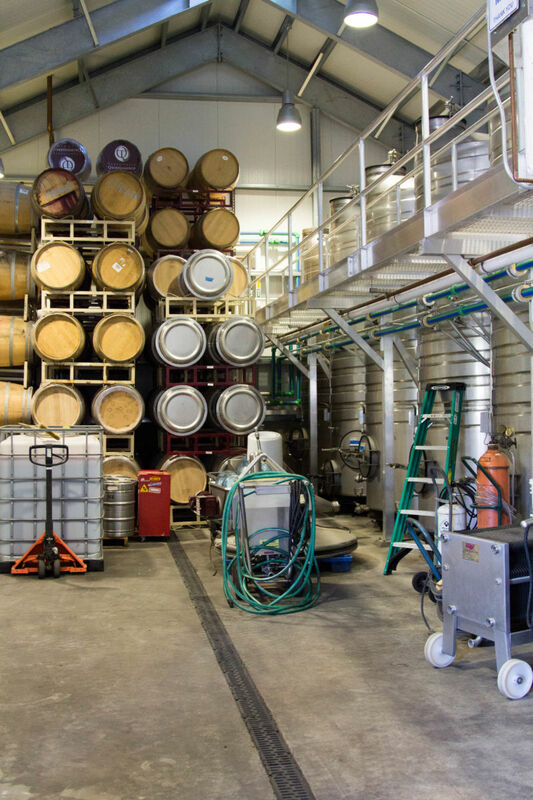 We got to see where the magic happens during crush, all the vats and the fermentation tanks and the machinery. 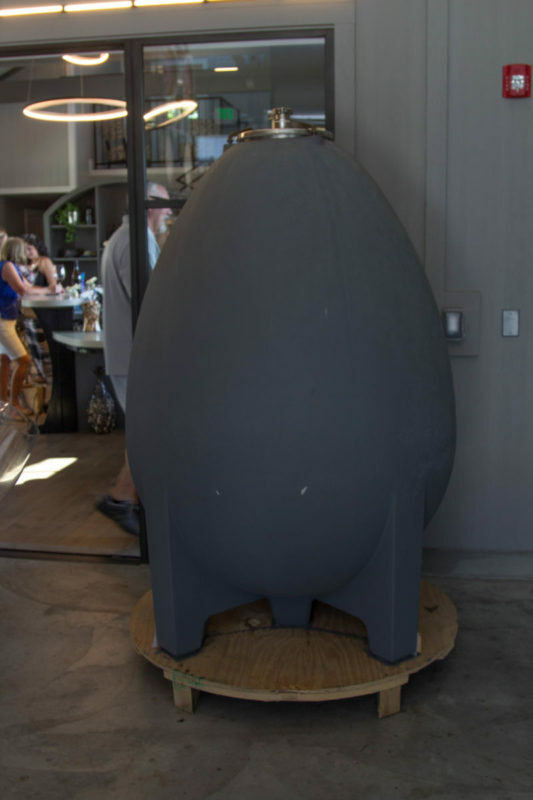 We also got the opportunity to see the cement egg that they use in the process. Neil explained to us that they use cement eggs in the wine making process as it helps the wine breathe and makes the temperature easier to control. It is also far cheaper than wooden barrels and it doesn’t give the wine flavor. Hands down our favorite wine of the day was their 2013 Branta. The wine is smooth and rich, a lovely feel in the mouth with flavors of cherry and cranberry on the palate. It’s a little smokey, a little bit of pepper, and a very well-balanced sip. I think every single member of our group bought at least one bottle of this wine to take home. It is absolutely delicious. At the price of $55.00 per bottle it isn’t cheap, but the quality makes it worth it. I think we are going to take a bottle of this to Europe with us to share with family there. 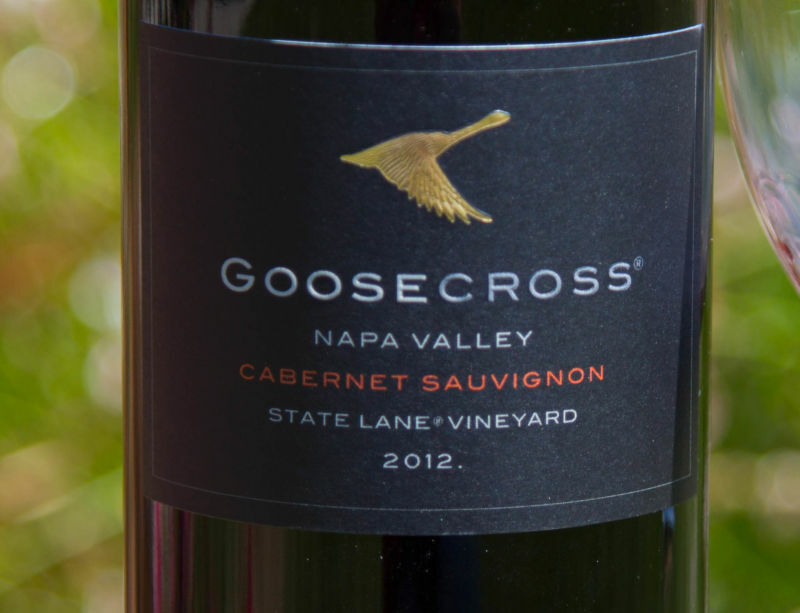 Another stand out for us was the 2012 Cabernet Sauvignon. Very smokey, a little wood, and deep forest fruits tantalize the palate with this lovely wine. At $62.00 a bottle, it is not something for an everyday sip, but something to be savored and enjoyed over a special meal. I could imagine it served with a Chateaubriand. My mouth is watering just thinking about it. 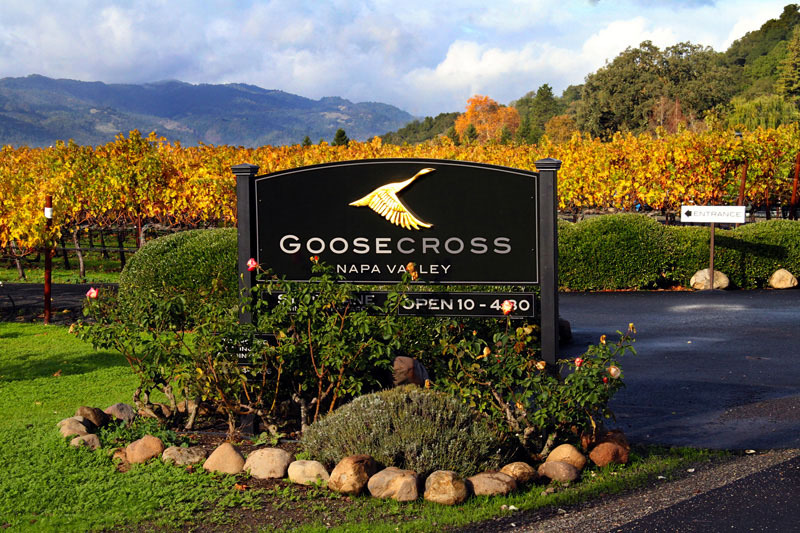 We highly recommend you visit Goosecross Cellars. Tell Neil we said hello!